Several Massachusetts breweries are lending a hand in raising money for California fire victims. Several local craft breweries joined brewers nationwide to brew for a cause. They’re all making the same beer to raise money for California fire victims. A dozen Massachusetts companies jumped into action when the Sierra Nevada Brewing Company put a message out to breweries across the country, asking them to support communities in California impacted by the fires. Night Shift Brewing is one of the local breweries making room for the “Resilience Butte County Proud IPA” in support of the Camp Fire Relief Fund. 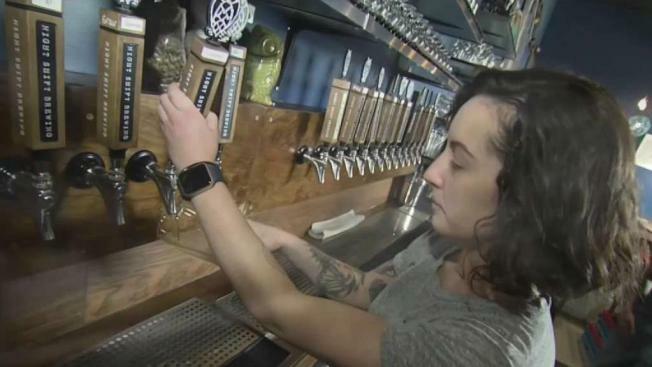 “We are brewing a 20-barrel batch which is about 40 kegs of beer and if we sell through those kegs of beer at our kind of typical prices we should be able to generate around $30,000 that we plan to give to the fund,” said Night Shift Brewery owner Robert Burns. Trillium Brewery, Wachusett Brewing Company, Wormtown Brewery, and Cape Cod Beer are among some of the others that are participating. Exhibit ‘A’ Brewing Company in Framingham joined as well, but for more personal reasons. “My aunt and uncle, they used to live in Paradise, California, they lost everything. Then two days after they had to evacuate my uncle passed away,” Kelsey Roth of Exhibit ‘A’ said. The brewers agree this is a great idea to raise money, saying it’s a simple gesture that makes a big difference, especially if people are buying beers anyway. One hundred percent of the proceeds go to the relief fund. Breweries around the country will make it available on tap. Sierra Nevada sent out the general recipe to all the brewers, but each brewery has a different process to make their beer, so the Resilience IPA could vary in taste depending on where you head to get it. Sierra Nevada will bottle the beer for distribution in 2019. More than 1,000 breweries nationwide have signed up to brew the Resilience IPA. Click here to see a list of who is participating.